Our organization is specialized in the field of designing and manufacturing a quality-assured range of MS Vessel which is made available to the clients in varied sizes and finishes. We fabricate the entire range, under the strict supervision of a proficient team of quality controllers, which helps us ensure flawlessness of our range. 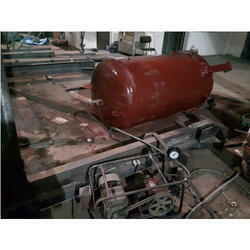 We also manufacture Industrial Vessel for storing liquids and gases which are considered to be under high pressure. We use quality raw material to make these vessels to provide durability and to avoid any risk of rupture. We make these vessels as per the specifications provided by our clients. Design temperature: (-) 45 Deg. We are offering MS Vessels. Our organization is specialized in the field of manufacturing a quality-assured range of MS Vessels. 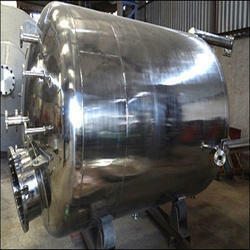 Being a customer oriented firm we are delivering best series of MS Vessel Tank.